Let’s face it parents have a lot of choices and decisions to make! I often laugh when my niece, who is a first time mommy text me questions. However, I totally understand and am glad to help or give her advice anytime she needs it. We have all been there! As parents we just want what is best for our babies! That also includes picking diapers! With so many different brands on the market sometimes even picking a diaper can be overwhelming! I recently learned about Seventh Generation’s Diaper line. 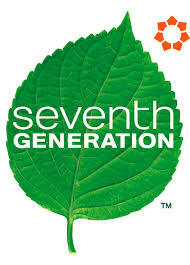 I have worked with Seventh Generation before but I had no idea they also carried diapers! Take a look at their new video above. This actually had me laughing. I am sure I’m not alone when I say I have experienced that before! This video fits so well with the brand. Its fun and oh so natural. I don’t know about you, but I prefer natural, no toxins for my babies. My youngest daughter was very sensitive to a couple of the big name brand diapers when she was little. It took us forever to figure out that it was actually the diaper and wipes! So now finding out that there are other alternatives for parents like myself who prefer disposable diapers and wipes this makes me very happy! We let our diaper’s absorbent fiber core go “natural” to give you everything you want in a baby diaper – and nothing you don’t! Exactly the same soft and comfortable fit, baby-pleasing performance and super absorbency as our previous Free & Clear diaper with absolutely no chlorine processing or whitening. In fact, it’s the only disposable diaper available today with no whitening! After reading the reviews I am really impressed and will be recommending these diapers to friends and family. I also want to point out that the price range for these diapers are actually around the same as the bigger brands! So make sure to try them out and let me know how you liked them! I have been very happy with the Seventh Generation brand so i know the diapers will be just as great as all the other products. My daughter was the same way when it came to diapers. We had to try several brands before we found something that wouldn’t effect her. Products have come a long way since our babies, were babies.